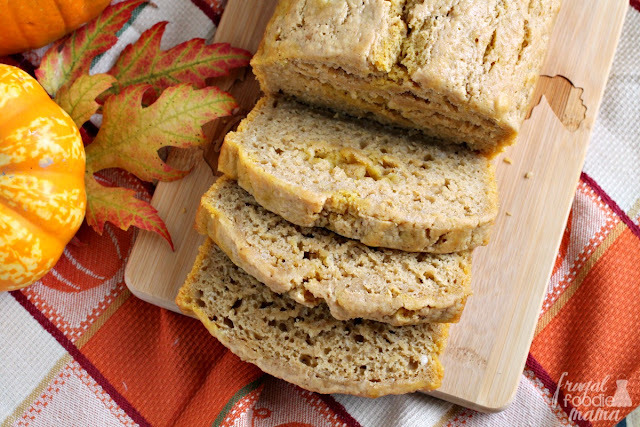 This is not your typical dessert-like pumpkin bread, folks. 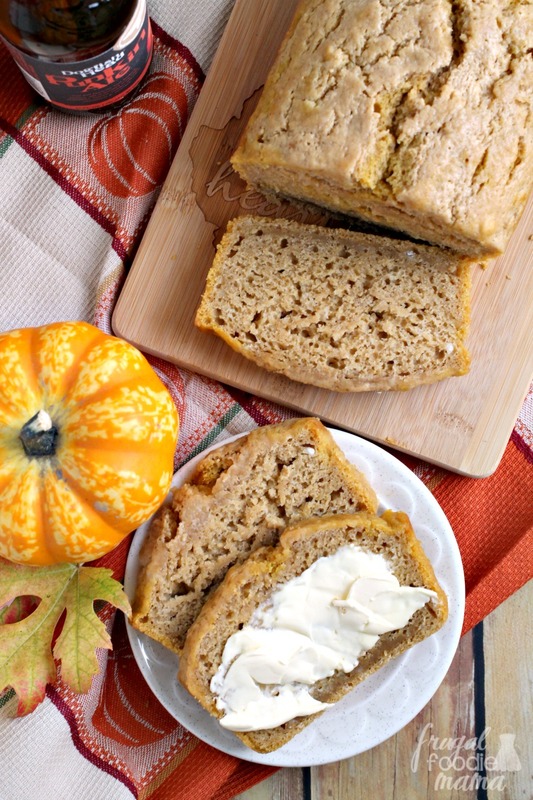 This pumpkin bread is more on the savory side with just a *touch* of sweetness and a bit of spice reminiscent of pumpkin pie. Whichever pumpkin beer you choose to make this with will definitely affect the flavor and the color of your bread. Obviously the darker the beer you use, the darker your bread will be and the deeper the flavor will be. I would suggest you look for a pumpkin ale that is brewed with molasses and spices. 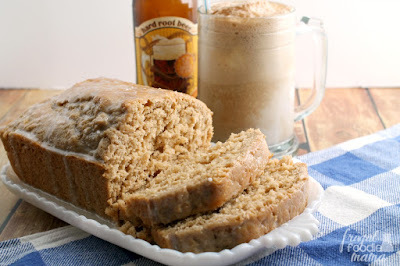 I used Tommyknocker Brewery's Small Patch Pumpkin Harvest Ale in my original 2012 recipe post of this bread. 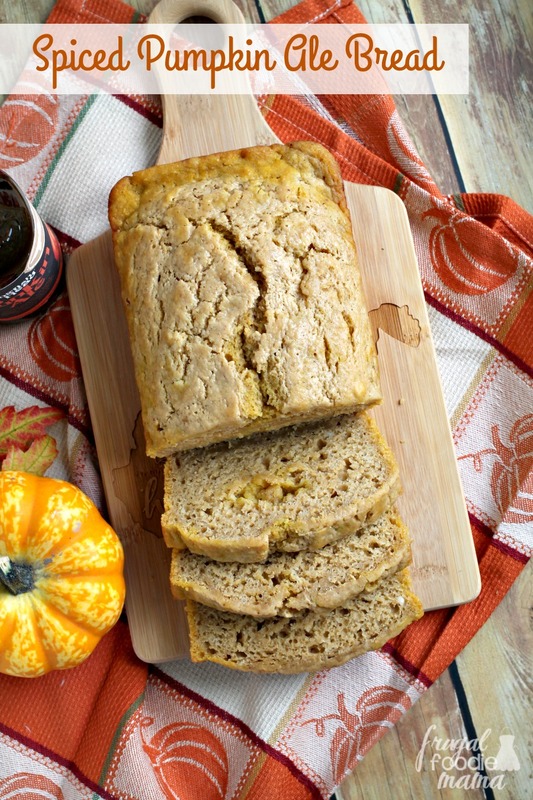 I used Dogfish Head's Punkin Ale in this updated version of my Spiced Ale Pumpkin Bread. 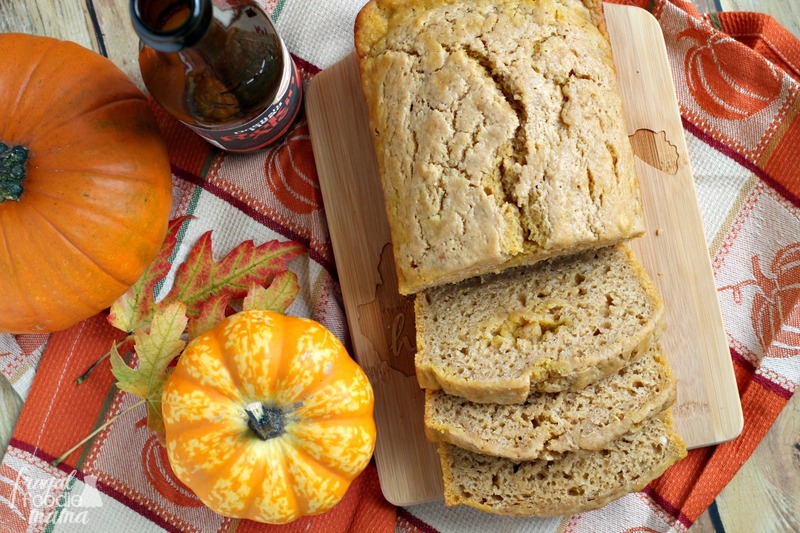 Another good pumpkin beer to try in this recipe would be Southern Tier's Pumpking. Preheat your oven to 350 degrees and spray a loaf pan with cooking spray. In a large bowl, whisk together the flour, baking powder, the spices, and the salt. Set aside. Put your canned pumpkin & the brown sugar into a small bowl and then pour the bottle of pumpkin ale over it. Whisk the pumpkin, beer, & brown sugar together until well mixed. Pour the pumpkin/beer mixture into your dry ingredients and mix with a wooden spoon until just mixed. Do not over mix as this could cause your bread to turn out extra dense. Pour your bread batter into your greased loaf pan. Now melt the butter and then whisk the honey into your melted butter. Pour over the top of the batter in the loaf pan. Bake for 45-50 minutes. When a toothpick inserted in the middle comes out clean, it is done. Allow the bread to cool in the pan for 10-15 minutes before turning it out onto a wire rack to cool further. Wrap any leftover bread tightly in plastic wrap. It will store well this way for 3-5 days. What is one of your favorite pumpkin ales that you look forward to each fall? 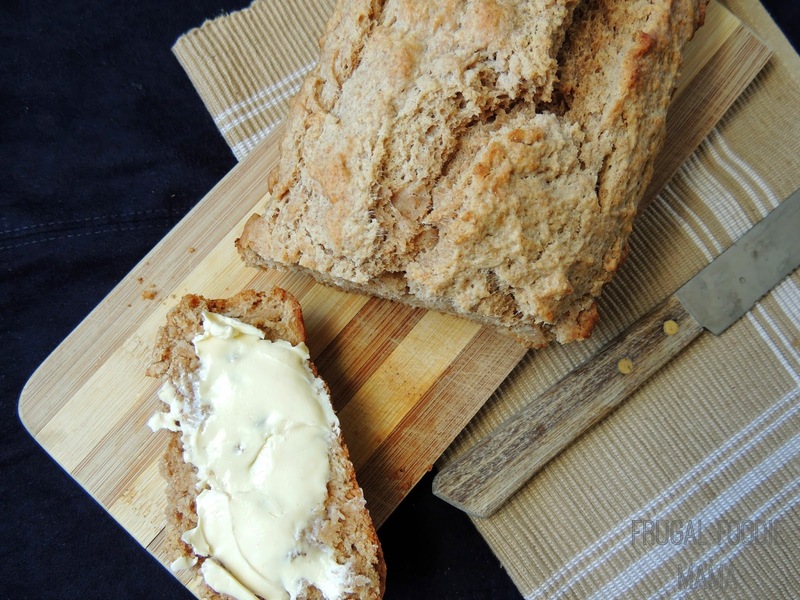 I make all of our bread and this recipe sounds like a fun one to try this Fall. It would be great with chili!! It's quick and easy, too. Thanks for sharing. You so need a "pin it" button. I love your stuff! You know, I have thought about adding one before, but when I took a poll almost everyone who responded said they never use the one with the post. They always just us the Pin It button in their toolbars. ;) But I am still considering adding one anyways! I'm thinking if you made some cinnamon ice cream with that new ice cream maker it would be awesome with a slice of this bread!! Oooooo... that would be yummy! The bread is just slightly sweet, so I think it would pair well with an ice-cream. I can not wait to make this. I'm vegan, but all I'll have to do to make the recipe vegan is use veg margarine and agave instead of honey! I have already added pumpkin ale to my grocery list! This bread looks so good! 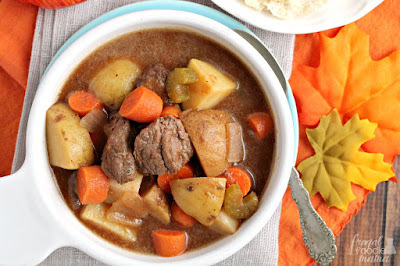 You are featured over at Heavenly Treats Sunday! Thanks for linking up! Looks yummy! Would love if if you linked up on my blog hop www.w-t-fab.com/search/label/bloghop. Also let me know if you'd like to follow each other!